We love our Pampers Swaddlers. They conform to my baby's body perfectly so that there are never any blowouts or leaks. 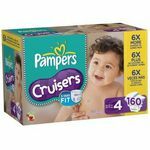 We use these diapers for overnight and daily use and this is the only brand we haven't had any issues with. They're nice and soft, and I would definitely say that they are more comfortable than other brands. I highly recommend these! I love these diapers! We have tried every brand out there and these are the best. They are the best fit and the best size selection. I always buy my kids diapers a size up so there is extra room and Pampers has the widest variety I have found. They are also very absorbent! I've used Pampers every since Emma was in the NICU. They are WONDERFUL! I love these! I have used swaddled with all 4 of my children! I love them and not just for when they are newborns but throughout infancy! 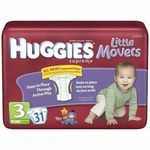 These were the best diapers for my first born son. He never broke out from these or leaked out. He had very sensitive skin and these were the only ones we could use. I'm definitely going to be using these again for our baby boy coming this January. 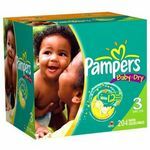 Pampers diapers are the softest diapers on the market. They keep my baby dry and do not cause rashes or leave marks around the legs from the elastic. The moisture sensing line is great too because it makes checking the baby's diaper so much more easy. One glance at the diaper and you can tell if baby needs to be changed. Pampers diapers hold up throughout the night. They do not leak or soak through like some other top brands. I would highly recommend Pampers diapers! 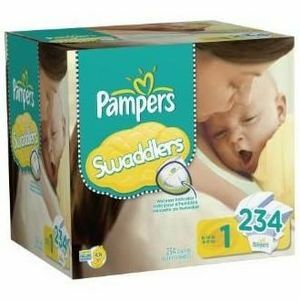 I used to really love pampers but it seems as if they've changed after they changed the look. I've never had one issue with leaking until they changed and the material of the diaper sticks to my baby's bottom when wet. They aren't my favorite diapers but still use them when on sale. They are still really soft and don't break out my baby so I will still use. These were the diapers given to us at the hospital when my baby was born. They were a bit rough but still somewhat soft. They did not have much give, didn't bend around the tiny legs very well and didn't fit softly around her umbilical cord healing. It often scraped against and bled (an issue we didn't have with the other brand we eventually switched to). Their commercials make me weepy and emotional but their diapers leave me feeling annoyed and doing more laundry than I should have to.